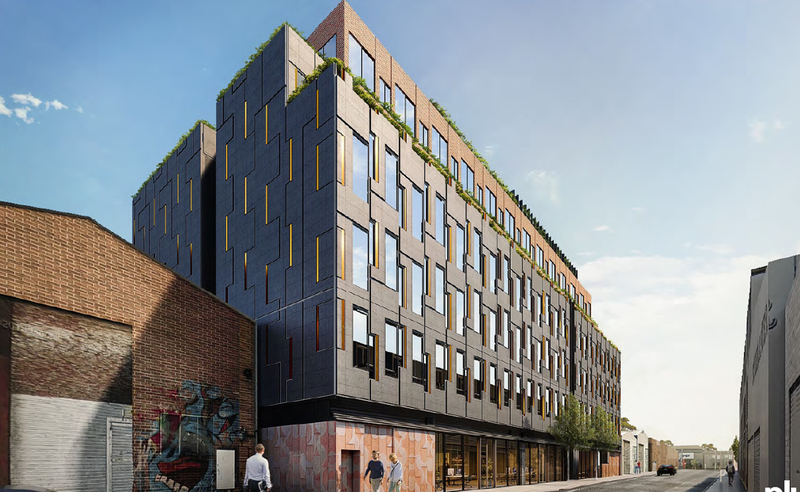 Private developer MAB Corporation has submitted a development application with the City of Yarra for a seven-storey commercial building in Richmond. Located on a 1,374sq m site at 43-57 Blazey Street in Melbourne’s east, the project comprises 5,422sq m of office space, 111sq m of retail and has an expected construction cost of around $19.5 million. The site is currently occupied by two single-storey brick buildings used for industrial purposes which will make way for the newly proposed project. MAB’s submission follows a greater local trend with the precinct transitioning away from industrial use toward lighter industrial and commercial. The suburb has seen a recent increase in former industrial buildings being retrofitted for office use. Project architects Plus Architecture faced the unique challenge of incorporating an existing substation into the buildings facade, which is made up of off-form concrete, glazed tiling, powder-coated metal and glazing. MAB Corp's latest development proposal, a mid-rise commercial building on Blazey Street in Richmond. MAB has managed a series of diverse projects across Melbourne this year. Earlier this year the developer launched its 13th major apartment in Melbourne’s Docklands, a $140 million residential and office project that will complete the eastern portion of its New Quay development. In February, MAB also announced they had struck a deal with West Australian small goods supplier D’Orsogna. The deal would see the developer — in partnership with Gibson Property Corperation — develop a 10,858sq m, $60 million facility in Melbourne’s north. 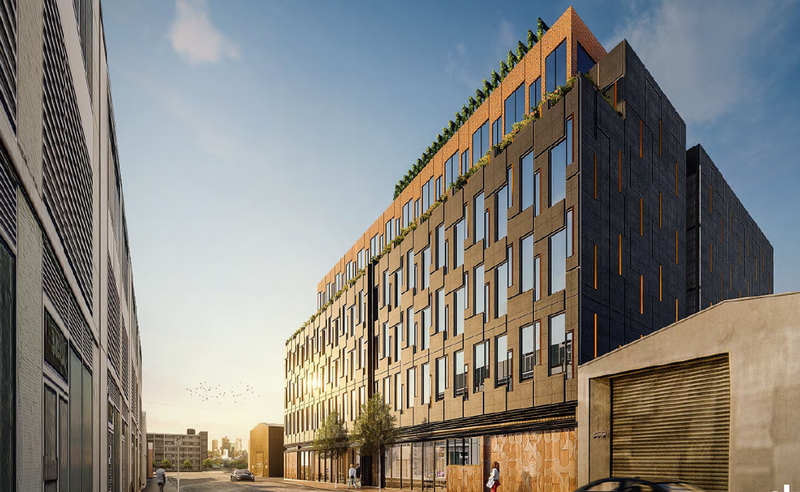 The Melbourne-based developer has also proposed an $18 million medical-focused commercial building within their $1 billion University Hill precinct. The developer is yet to announce the proposed timeline for the Richmond project which is currently awaiting approval.